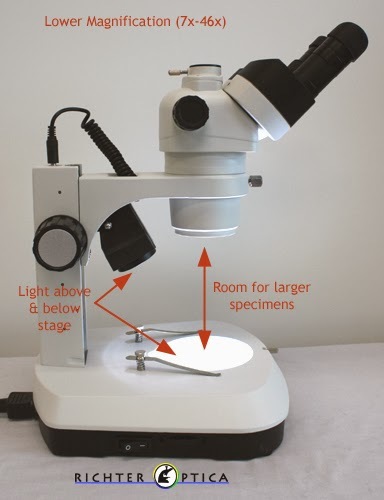 Stereo microscopes offer lower magnification (usually somewhere between 5x-50x). Stereo microscopes provide more room under the microscope for larger objects (think rocks, flowers, etc.). Stereo microscopes have light above the stage, and sometimes also below the stage. 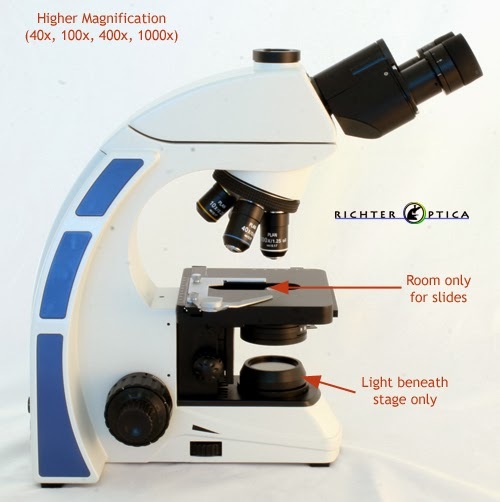 Biological microscopes provide higher magnification (40x, 100x, 400x, 1000x). Biological microscopes have a light beneath the stage, therefore the specimen must allow light to pass it.